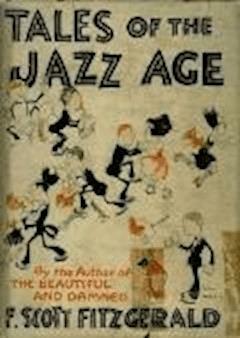 First published in the "Smart Set", and first published in book form in Tales of the Jazz Age in 1922. "And do you write for any other magazines?" inquired the young lady. "Oh, yes," I assured her. "I've had some stories and plays in the 'Smart Set,' for instance———" The young lady shivered. "The 'Smart Set'!" she exclaimed. "How can you? Why, they publish stuff about girls in blue bathtubs, and silly things like that" And I had the magnificent joy of telling her that she was referring to "Porcelain and Pink," which had appeared there several months before.